BANGKOK (AP) — A Siamese fighting fish with the colors of the Thai national flag has been bought for 53, 500 baht ($1, 530) at an online auction, possibly making it the most expensive Betta fish ever sold. Kachen said Thursday he had expected someone to buy the fish for a few thousand baht but was shocked when the bid hit 10, 000 baht ($285) on the second day. 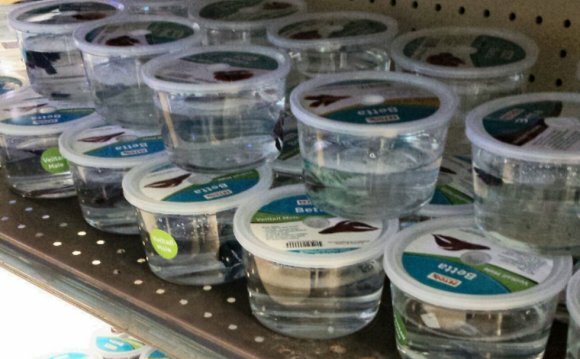 "I never expected my fish to go for this price, " said Kachen, a 40-year-old convenience store owner who breeds Betta fish as a hobby. He posted the pictures on Nov. 6 with a starting bid of 99 baht ($2.82) and closed the auction on Nov. 8. Betta fish have been bred previously to reproduce the colors of the Thai flag but Kachen said none have come close. He said the highest previous price for a Betta was for a half-moon Betta fish that sold for 23, 500 baht ($671). "The chance of getting a fish with the flag's exact color is like one in 100, 000, " said Kachen. "So many people have tried to breed the Thai flag colors. Luck was really on my side."